In her sixth year with the firm, Katherine has seen and been involved in just about every possible family law scenario you can think of. She began her career at the firm as a paralegal and personal protégé to Mrs. Rose while a law student, and later transitioned to the role of attorney. Katherine has gained the experience of many attorneys decades her senior in the field, thanks in part to working daily in family law only. Among her many talents, she is great at solving complex problems related to case law, arguing on her client’s behalf, and negotiating settlements that are favorable to her clients. 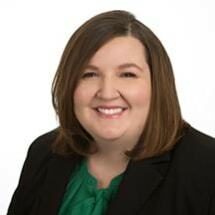 Recently she has been nationally ranked a “Top Ten Attorney under 40” by the National Academy of Family Law Attorneys. She has also been named a Top Female Attorney by B-metro magazine. 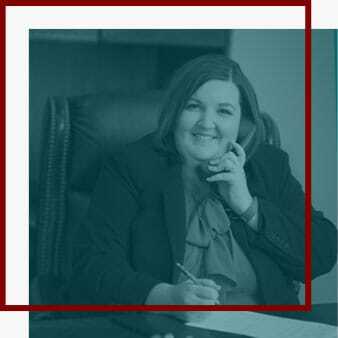 Devoted to her craft, Katherine has earned certification in Family Law Trial Advocacy from the National Board of Trial Advocacy and is a member of The National Trial Lawyers Women’s Lawyers section, the Birmingham Bar, and The Alabama State Bar Family Law Section. A native of Alabama, she and her husband live with their daughter, Caroline, and Basset Hound, Rosco.